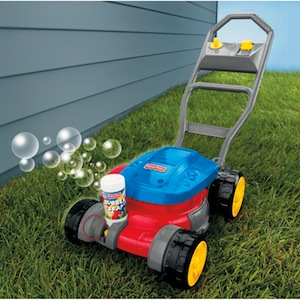 One-touch refill system keeps bubbles blowin' for a whole lotta mowin'! The all-new one-touch refill system features a bigger bubble dispenser for less fill-ups-and a one-press, no-mess refill. Just press it once and you're good to go for a yard full of bubble fun! Bubble solution included.